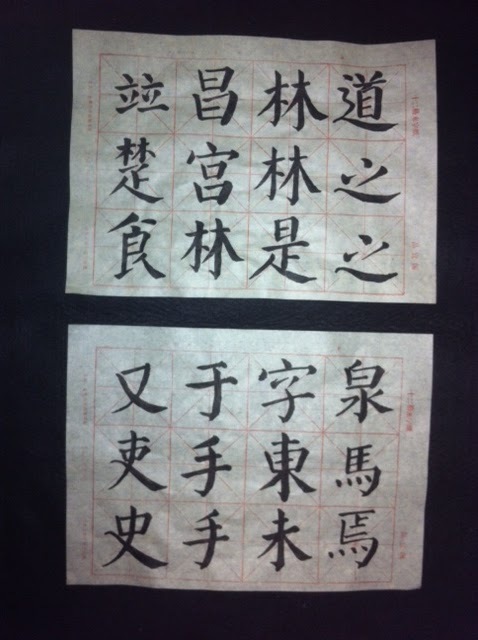 Chinese calligraphy is closely related to Guqin, as it is part of the 4 arts (琴，棋，书，画 ) that ancient Chinese literati must learn. 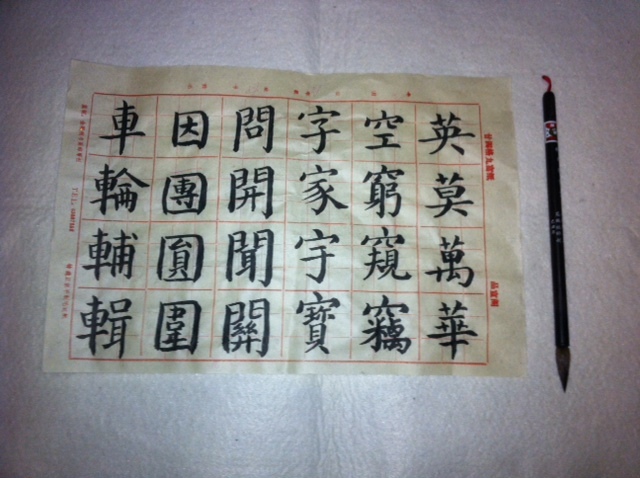 Calligraphy class (3rd semester) started last night in NAFA (Singapore's Nanyang Academy of Fine Arts). This is what I wrote last night with this fabulous full weasel hair brush (not wolf hair, as commonly mis-translated). I bought this brush from Singapore's Vivocity shopping mall when the China manufacturer (Hu Yang) was here for exhibition during Chinese New Year. 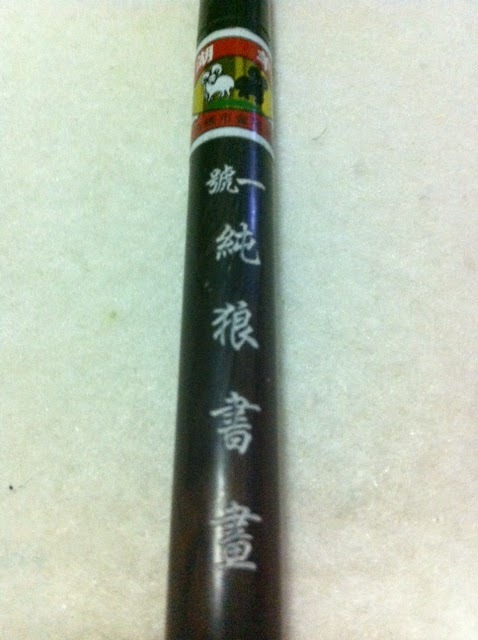 It is very difficult to find pure weasel hair brushes in Singapore's calligraphy shops. This brush is like the Mont Blanc of the Chinese Calligraphy world, but at a fraction of the price of a Mont Blanc. hahaha. This calligraphy brush costs me SGD110 (about USD86). The manufacturer told me the weasel hair was from Russia, as wild animals are getting fewer and fewer in China. This is what I wrote last semester in NAFA in May 2012 after 5 months (20 lessons).